Everykey has a variety of safety features that work together to keep your information safe. 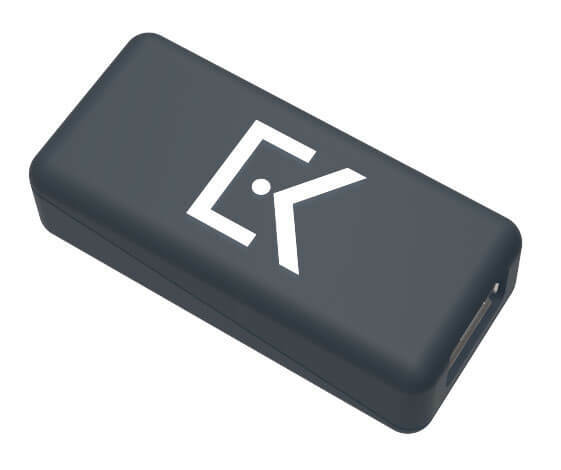 Everykey utilizes four layers of AES 128-bit, AES 256-bit, and RSA 4096-bit encryption, and has remote freezing capabilities which prevent others from using your Everykey in the event that it is lost or stolen. Each time Everykey broadcasts an encrypted Bluetooth Low Energy message, the message contents are changed, preventing a hacker from spoofing your Everykey. Device passwords are never stored on an Everykey server or product. All of these features together make Everykey secure and safer than what you use today. Our software is audited by RSM (formerly SecureState), a U.S. based security auditing firm. We&apos;ve passed two security audits with the best score possible. This score places Everykey in the top ~5% of all companies, including some of the largest brand names out there. Passwords are never stored on an Everykey product. Passwords to your devices are stored in secure storage on the devices themselves. Website and app passwords are stored on an Everykey secure server under four layers of AES and RSA encryption. The final layer is encrypted using an encryption key that's only stored on your Everykey and the devices that it unlocks, so our company has no way of decrypting your passwords. Everykey utilizes four layers of AES 128-bit, AES 256-bit, and RSA 4096-bit encryption, the same encryption used by the military to protect top-secret documents. Only your Everykey and the devices it unlocks hold the final encryption key, so our company has no way of decrypting your passwords. Each time Everykey broadcasts an encrypted Bluetooth Low Energy message, it is different from the previous message, preventing a hacker from sniffing a message and re-broadcasting it. Because each message is encrypted, there's no way to derive one message from the previous message. If your Everykey is lost or stolen, you can freeze it through the Everykey App, or by calling us. No one will be able to use your frozen Everykey, so you don't have to worry about someone else accessing your devices and accounts. You'll still be able to use your old keys and passwords until you find your Everykey and unfreeze it. Although a frozen Everykey will be useless to a thief, it won't actually freeze into a block of ice.